Beverley is a partner in the commercial property team specialising in development work and property portfolio management. 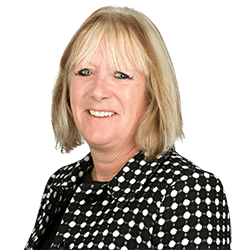 Beverley’s expertise includes working with national and local developers and also with local authorities such as Bath & North East Somerset Council, and the London Borough of Havering. Beverley also advises property investors such as Mapeley. Beverley joined Clarke Willmott in 2005 as part of a team of ten joining from Pinsent Masons. Beverley was previously a partner at city firm Herbert Smith. Advising the freeholders of a large mixed use development site in Woking including site acquisition, financing, restructuring, complex development agreement with a national housebuilder, letting the commercial space and generally steering the project towards a successful conclusion for the clients. Advising BANES on various projects including the regear of department store operated by a national retailer on the city’s main retail street including rationalisation of the freehold title and granting an overriding lease of residential accommodation on the third floor of the property. Advising land owners on the grant and renewal of telecommunications leases and wayleaves, taking steps to protect the landowners interests as far as possible.